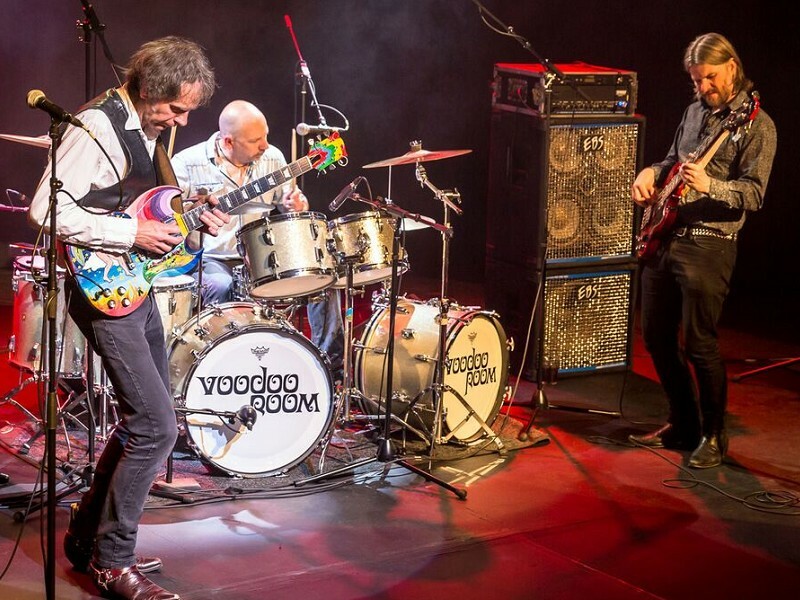 Paying tribute to legends of rock Hendrix, Clapton and Cream are Voodoo Room. This powerful trio features some of the UK’s finest musicians performing an incredible show in the true spirit of these legendary superstars featuring classics such as: ‘Hey Joe’, ‘Sunshine Of Your Love’, ‘Purple Haze’ and ‘Layla’. Members of Voodoo Room have recorded and toured with Stevie Winwood, Massive Attack, Arthur Brown, Thunder and many other high profile artists. With standing ovations the norm, Voodoo Room are not to be missed so book early!